Sage Research Methods – New Look! SAGE has launched a new platform for its online SAGE Research Methods, based on customer and use r feedback. 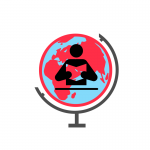 SAGE Research Methods is the ultimate methods library with more than 1000 books, reference works, journal articles, and instructional videos by world-leading academics from across the social sciences, including the largest collection of qualitative methods books available online from any scholarly publisher. The site is designed to guide users to the content they need to learn a little or a lot about their method. 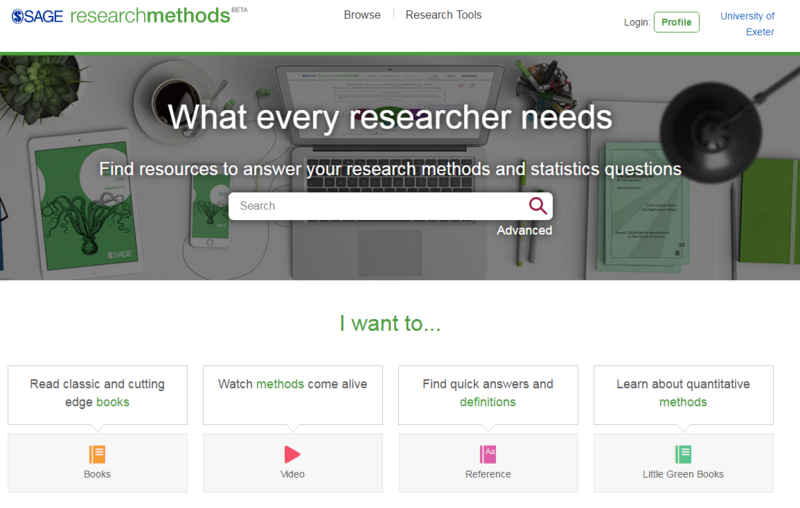 The Methods Map can help those less familiar with research methods to find the best technique to use in their research. You can learn more about the service from the online help pages or watch an introductory video. We have improved the internal search, meaning better and more relevant results. The Methods Map has been improved, allowing users to explore method concepts with greater ease. The browse options have been enhanced to align with user needs – allowing browse by discipline, content type, and method topic. The new site is live and can be accessed via the library catalogue or the Electronic Library. This entry was posted in E-Resources, Information skills, Research on 9th Jun, 2016 by Lee Snook. 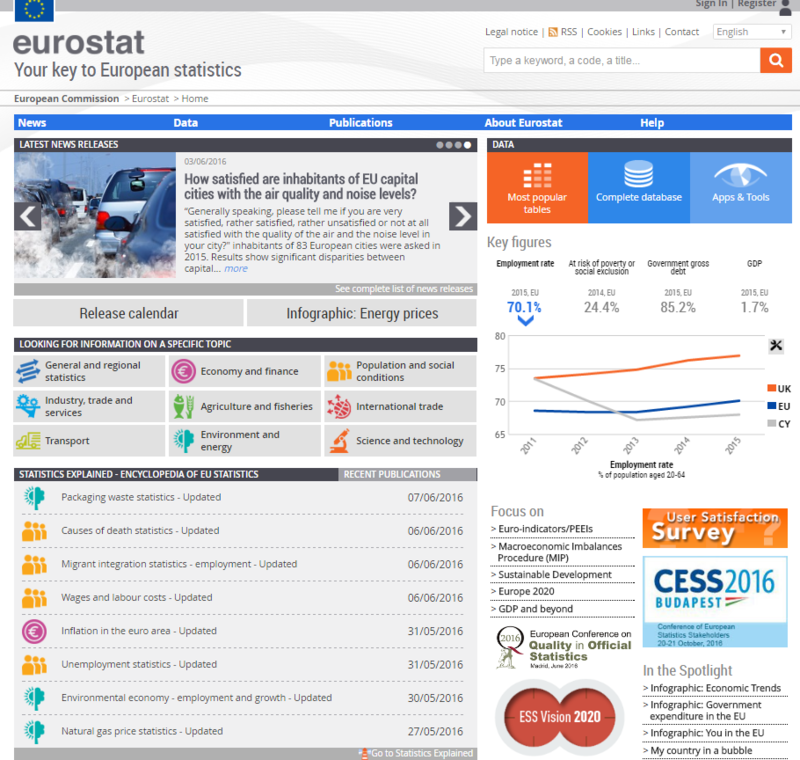 Eurostat provides free access to its data. It publishes harmonised statistics on the European Union (EU) and the euro area and offers a comparable, reliable and objective portrayal of social and economic trends. Eurostat collects data from national statistical authorities according to EU-wide methodologies. Data are, therefore, genuinely comparable. Use the compact guide, free to download online, to find out more. Information online is updated daily. Data are subdivided into nine themed and a set of EU policy indicators. The homepage shows at a glance the wide range of information provided, and highlights news and themes of current interest. You can then us the tables, databases and tools to delve more deeply in order to access the data you require. This entry was posted in E-Resources, Research on 9th Jun, 2016 by Lee Snook. 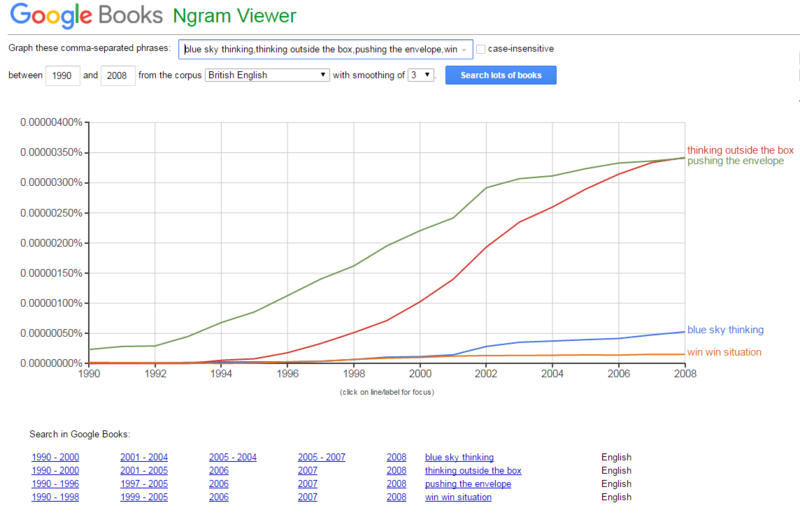 For in depth information anout the way it operates and advice on searching take a look at the Google Books Ngram Viewer information page. You can run simple searches or construct more complex searches, depending on your research needs. Here is an example of a simple search run to look at the emergence and use of a few ‘management speak’ jargon terms. 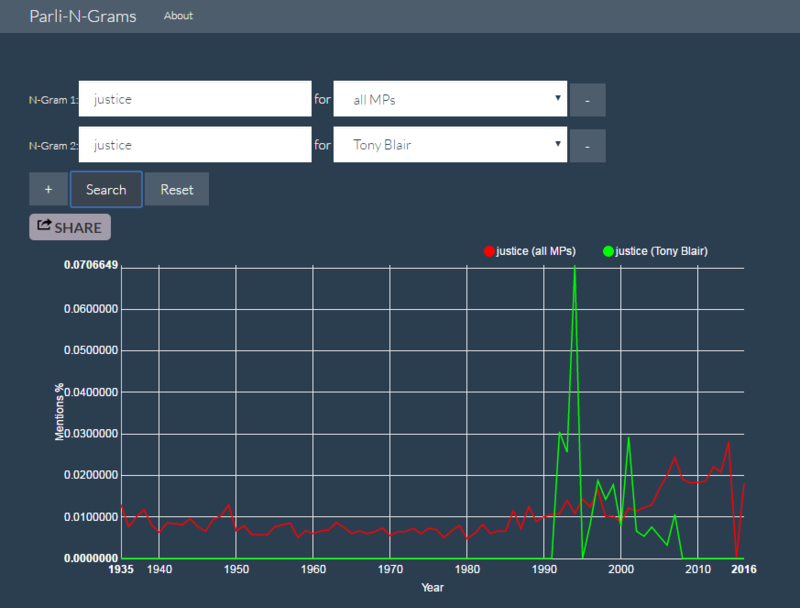 You can search online to find plenty of examples of graphs that users have been generating using this tool. This article from Marshall Kirkpatrick presents his selection of 10 fascinating word graphs. It is a very powerful tool, and its value as a research tool was discussed in a 2011 Science article. Researchers have flagged its limitations as well as its value, so it is worth being aware of these issues as you do your own research and decide what conclusions you can draw from the data. A brief discussion of the pitfalls of the tool are online from wired.com. An in depth discussion of the limitations were addressed in a Plos One article. The Parli-N-Gram tool is similar in function. 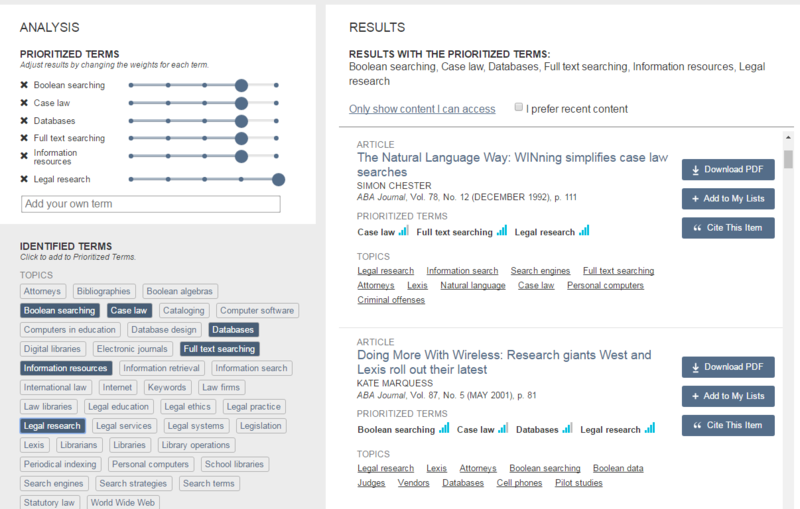 This tool enables you to search and analyse content across Hansard. You can identify the frequency of appearance of words and phrases in the record of parliamentary debates. The data is refreshed weekly, usually on a Wednesday following Prime Minister’s Questions. Find out more from the Accountability Hack 2014 slideshare. Here is an comparison of the term ‘justice’ appearing in the parliamentary record of All MPs and of Tony Blair. This entry was posted in Research on 22nd Apr, 2016 by Lee Snook. 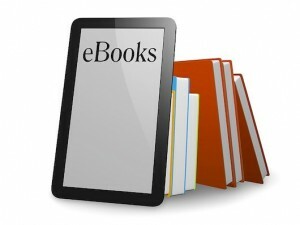 A new online Copyright for Researchers Guide is now available. 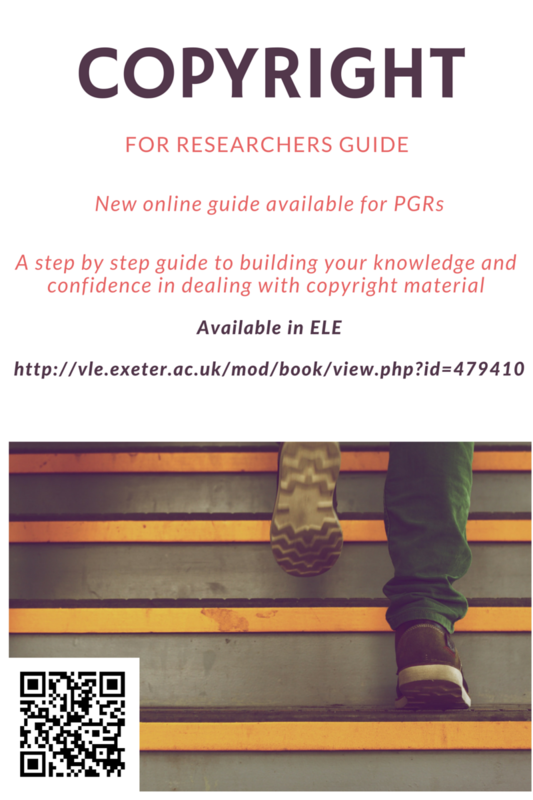 The guide is aimed at PGR students and addresses issues such as using third party materials responsibly during the compilation phase of the thesis process, as well as at submission time when the thesis is made available on an open access basis in ORE, the institutional repository. 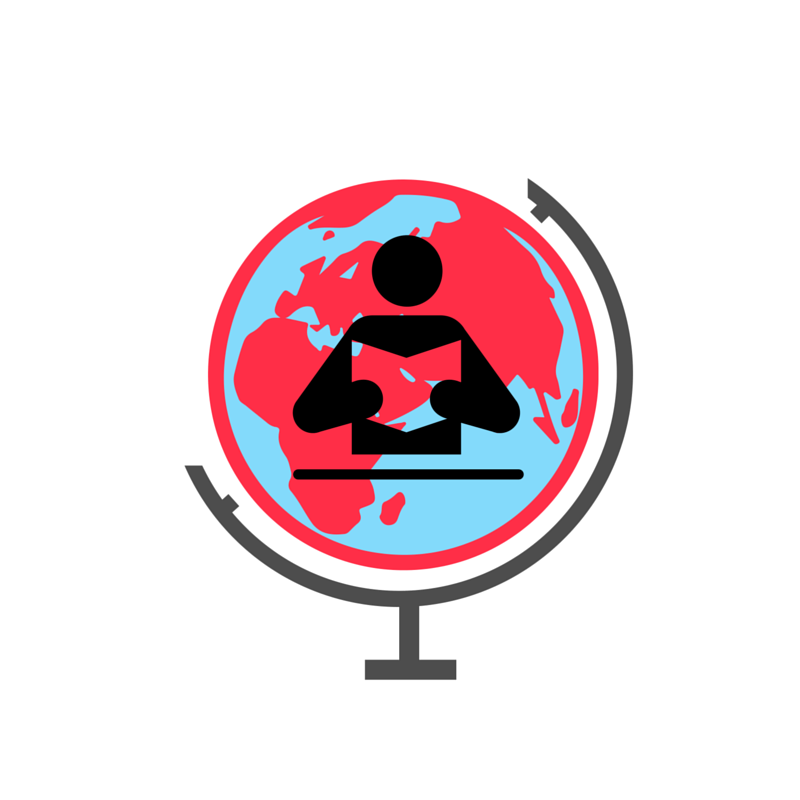 If you are a PGR student grappling with copyright issues, login and work through the tutorial in order to build your knowledge and confidence in applying copyright law to issues that arise in the research process. The guide is available online here. An online quiz is also available so you can test your understanding of the materials. For those of you interested in wider IP issues, you can use the IPEquip materials that are flagged in the training guide to broaden your knowledge into these other areas of Intellectual Property, You can work through an online suite of training modules and assessments to gain CPD accreditation & IPO certificate on completion. if you need further guidance. This entry was posted in Information skills, Research on 8th Jan, 2016 by Lee Snook.